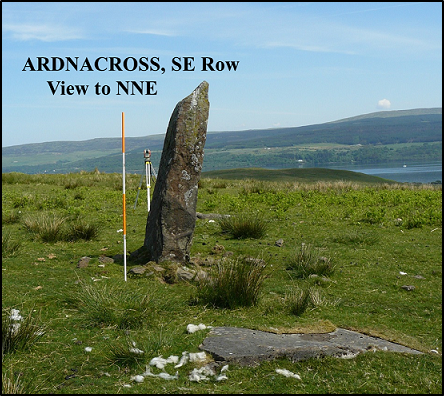 The site is situated on a broad grassy terrace about 1 km. 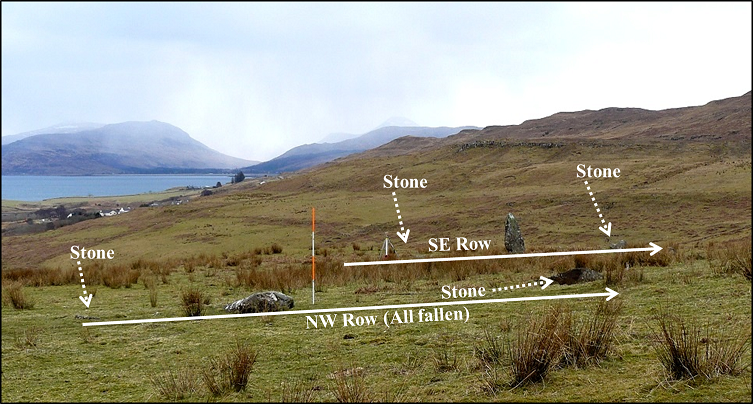 from the Sound of Mull at an elevation of about 75 m.
It consists of two three stone rows with only one of the six stones still standing together with the remains of three kerb cairns. 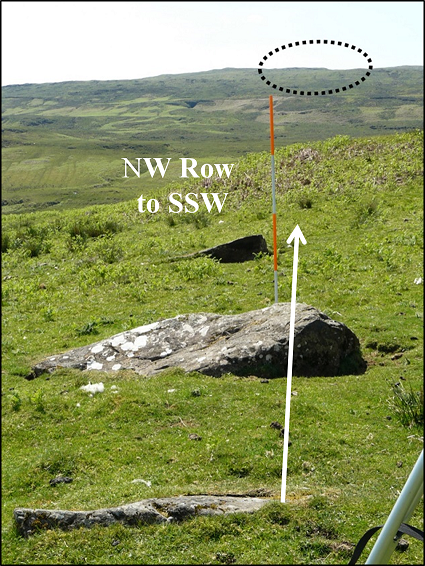 The two rows are nearly parallel to each other and orientated about NNE/SSW. The ‘skew’ positions means they were not intended as an avenue. 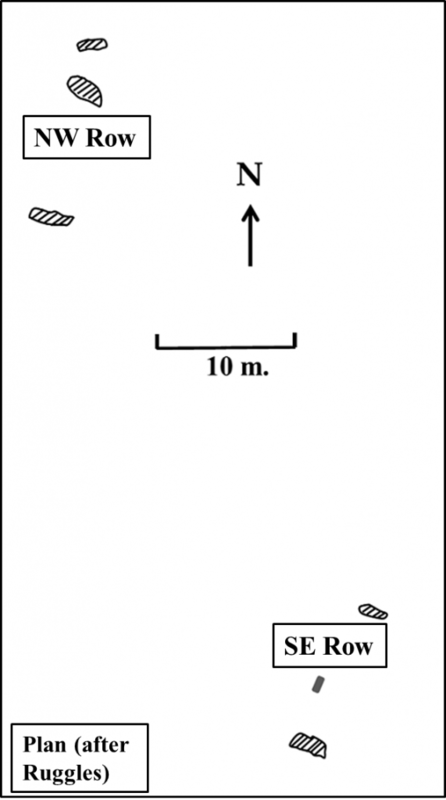 There can be no alignment to the NNE; the horizon is featureless and both the sun and moon at their respective extreme northerly declinations would rise some distance to the right. i.e. towards north east. 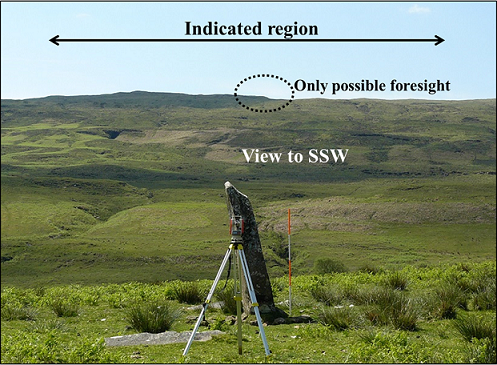 To the SSW there is a nearly level skyline at an altitude of about 7º. At this latitude (56º.5N.) the major standstill moon in the south would always be below the skyline. For a setting celestial object the horizon appears to have only one feature that that could serve as a foresight. The Sun at the winter solstice would pass the feature discussed by slightly less than a solar diameter. The upper limb would be at the feature 10 days before and after the solstice. 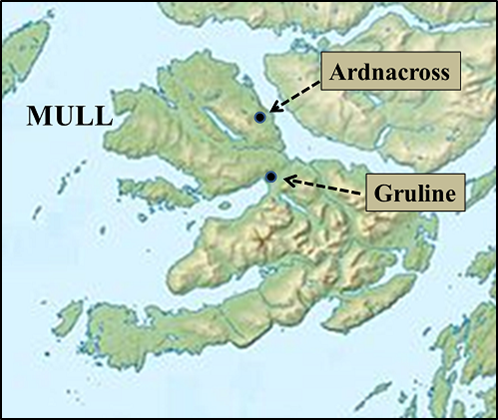 The site was excavated in 1989-91 by Clive Ruggles with Roger Martlew as part of the North Mull Project. (Archaeoastronomy, no. 18 (JHA, xxiv, 1993)). They determined the positions of the stone holes and the approximate orientations of the rows. For the SE row earlier, the upper limb on the feature was used. 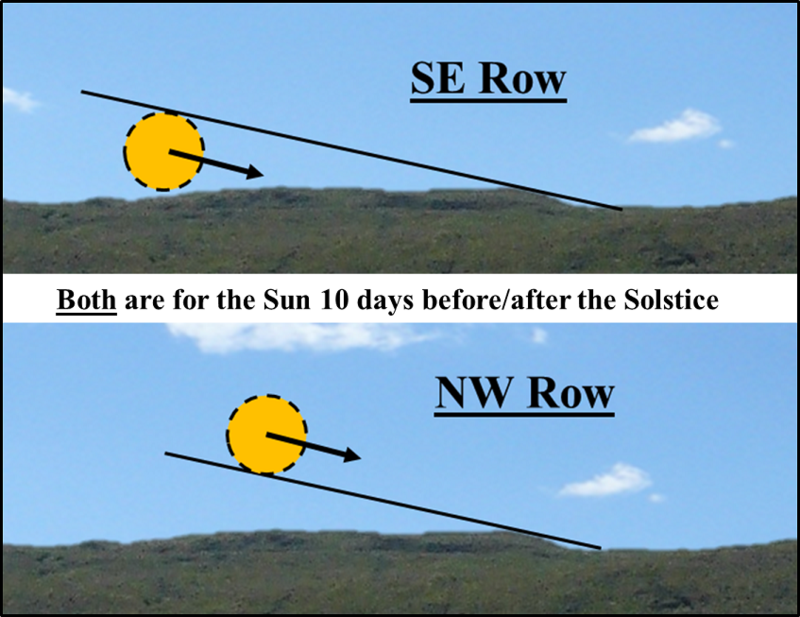 Here, for the other row, the lower limb is used and again the time from the solstice is 10 days. The only logical reason for the purpose of the site is for the determination of the solstice. A similar pattern continues with the sites which follow.